Rosters have been revealed for the 2018 Futures Game and the San Diego Padres will be well-represented. On July 15th, the top prospects in all of Major League Baseball will be split into two teams. Those who are from the U.S. and those from around the world, with the teams facing off during the MLB All-Star Weekend in an exhibition game. The Padres will be represented on both teams, sending three players in total to Nationals Park; all position players. 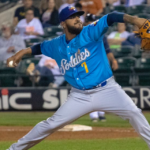 Fernando Tatis Jr. and Luis Urias will suit up for the World Team while Buddy Reed has been chosen to represent the U.S.
Outfielder Buddy Reed has broken out in a way in 2018 after struggling a bit to open his pro career. Reed is a former second round draft pick who was taken due to his athleticism and blazing speed. In his first full pro season in 2017 he was a below-average hitter, posting a 90 wRC+ as he seemed to have some trouble despite his high draft pick status. Across 77 games in Class A+ Lake Elsinore however, Reed has seemingly turned it around. Thus far he has posted an eye-opening 142 wRC+ while slashing .319/.368/.528. A 23 year-old switch hitter, Reed has also racked up 11 home runs and 33 stolen bases, showcasing a very intriguing blend of power and speed. Although he has been playing in left field for most of his starts in 2018, Reed profiles very easily as an above-average defender in center field as he has 70-grade speed and a plus-plus arm. 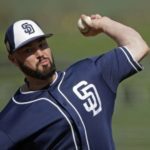 Reed is unranked on MLB Pipeline’s Top 30 Prospects list but is the 32nd ranked player in the Padres’ farm according to Fangraphs, who cite Reed’s high exit velocity and “blazing speed” which combine with terrific defense and profile him as a Major-League stalwart once he gets there. Buddy Reed is due for well-deserved promotion to Double-A any day now and it is awesome to see him get recognized for his hard work. 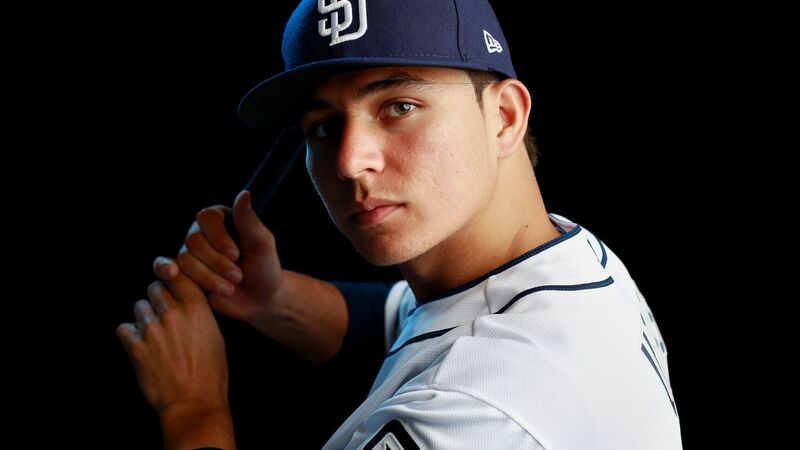 21 year-old second baseman Luis Urias has played all of 2018 in Triple-A as a member of the El Paso Chihuahuas roster as he attempts to earn a promotion to the Major-League club. Urias is known for his bat-to-ball skills and above-average command of the strike zone. 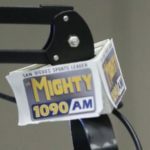 This is the first season that Urias has been challenged as his strikeout rate has increased from 12.4 to 20.2 percent but he has also increased his walk rate by one point and has tied his career-high in home runs with six, despite carrying a reputation as a contact-only hitter. His current wRC+ of 116 isn’t eye-popping, but considering his age and offensive profile it is evident that Urias will be a big-leaguer very soon. 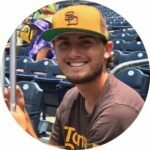 Urias is ranked as the Padres’ 3rd best prospect according to MLB Pipeline and is 2nd on Fangraphs’ list. He is also considered to be the 20th best prospect in all of baseball according to Fangraphs, while Pipeline ranks him at 29th. Both reports cite Urias’ hit tool as the trait that will carry him to the bigs but they also see him as an above-average fielder at second base and a passable fielder at short. Urias will no doubt end up at PETCO Park as the season progresses as his advanced feel for hitting rivals that of any infielder on the big-league roster at present. Last but certainly not least, Fernando Tatis Jr. will get a chance to show the world his obvious talents as he will man shortstop for the World Team. Tatis was acquired by the Padres in 2016 for James Shields and has done everything to make the White Sox regret dealing him at all. The number three ranked prospect in all of baseball according to both MLB Pipeline and Fangraphs and the consensus top prospect in the Padres’ system, Tatis is only 19 years old and is raking in Double-A San Antonio. After breaking out in 2017 with a 154 wRC+ and 21 home runs in Fort Wayne, Tatis has more or less kept that pace across 81 games in 2018. His walk rate has decreased from an obscene 14.5 to a respectable nine percent and his strikeout rate has ballooned to 28.4 percent but he’s five years younger than the average player in his league and has still managed to put up a .291/.363/.518 slash line along with 15 home runs and a 135 wRC+. Tatis’ calling card is his above-average power at a premier defensive position but he has also managed to steal 14 bases in 18 chances and swiped 32 bags last season in Fort Wayne and San Antonio. 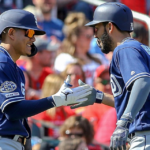 Tatis skipped Lake Elsinore and has responded well to his aggressive promotion as he has arguably improved his future outlook in only half of a season. 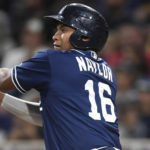 It has been a while since the Padres have produced a superstar from a farm system that in past years has lacked high-upside talent but Tatis seems to fit that bill. There are questions about his size and the possibility that he outgrows his current position holds some weight, but as of right now he has been able to play good defense and makes plenty of highlight reel plays. 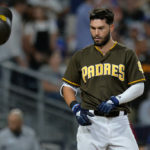 In a system overflowing with talent it is no surprise that these three individuals were picked to represent the organization but there are others such as right-handed starting pitcher Chris Paddack, left-handed starting pitcher Logan Allen, and catcher Austin Allen amongst others whose performances also justify selection. 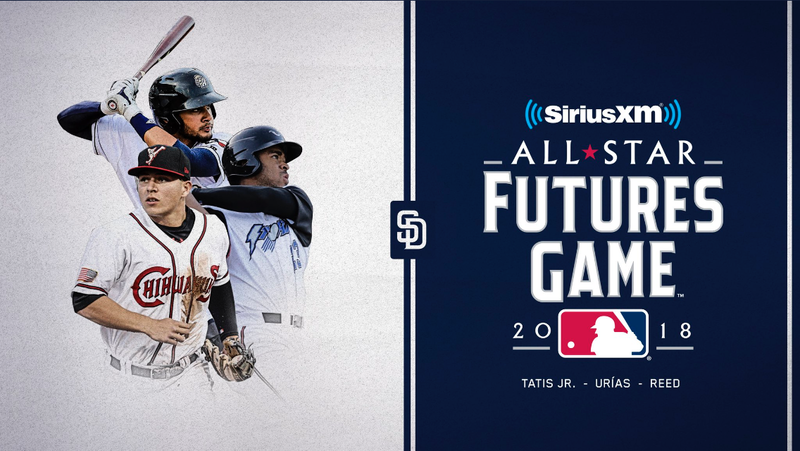 That being said, Tatis, Urias, and Reed have undoubtedly earned their spots among the top prospects in baseball and will prove just as much during the Futures Games. The franchise’s future is bright and it will be fun to give Major League Baseball a glimpse of what the organization has been building over the past three years. 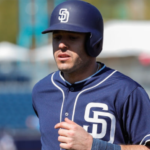 Does anyone remember who represented the Padres last year?